Yeah, we love it too. This photo got some lovin' on our #travel focused Instagram this week. 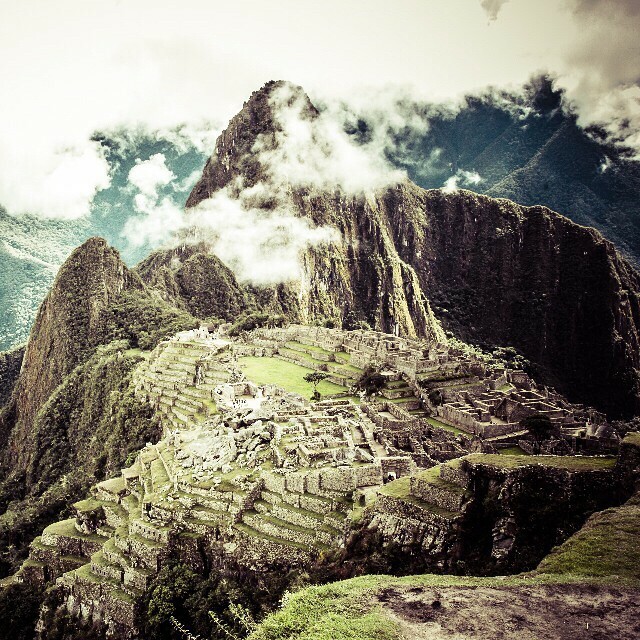 Machu Picchu is one of those instant guaranteed winners for us. It evokes such a feeling of adventure, mystery, exploration, and history, that we hardly need to add a caption. The formula is pretty simple: 1) Post a picture of MaPi in the clouds. 2) People dream about travel. And Peru feels the same way! In the years since the popularization of Machu Picchu tours, this archaeological site has boosted Peru's economy into the 21st century. Peru is now one of the world's best examples of an entire country, from the highest levels of government, to the porters carrying luggage on the Trail, coming together around tourism. The way Peru has branded itself is pretty inspirational. Even its currency design has elements of this marketing strategy, and it's all working well for them. Global Basecamps couldn't be happier. Our entire business is based off the idea that tourism can be good for the destination. Rather than wasteful tourism catering to travelers oblivious to culture or history, we plan conscious tours designed to integrate with a destination. Our travelers meet the people, eat the food, and see the places that define a country's culture, and they love every minute of it. Want to know more? Ask one of our Travel Specialists. Want to go for yourself? Check out our free guide to hiking the Inca Trail by clicking below! It has all the information you'll need to get the most out of your trek.